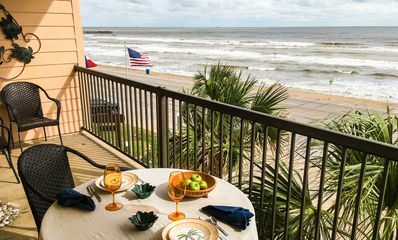 This 3-bedroom, 3-bathroom vacation rental condo in Galveston comfortably sleeps 9 guests who want the privacy of a home-away-from-home as well as access to all of the great amenities that come along with a condominium community. 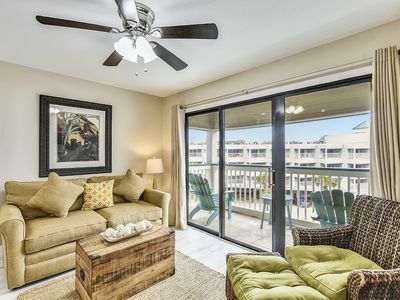 The appropriately named 'Condo by the Sea' is just a short walk to the beach and offers a great view of the Gulf of Mexico from the private balcony. 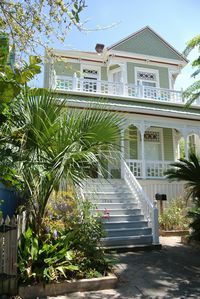 Be sure to check out all of the restaurants and family attractions near the condo during your Galveston getaway! This spacious 1,800-square-foot condo features large windows and glass doors which allow plenty of natural light into the home. 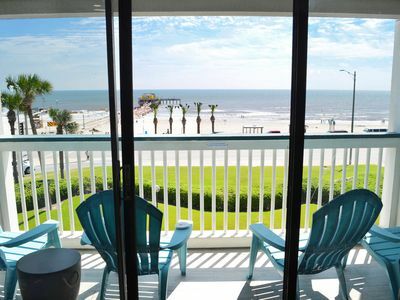 Listen to the sounds of the waves crashing on the beach as you sit in on the balcony overlooking the Gulf of Mexico. 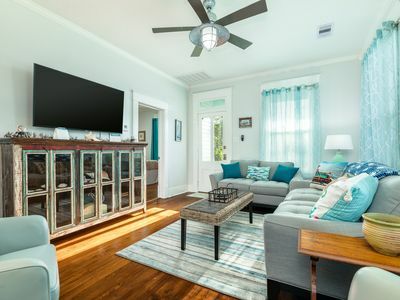 After a long day of fun in Galveston, relax on the comfy couches and watch your favorite shows and movies on the flat-screen cable TV. Open up the windows and doors and smell the sea breeze. The fully equipped kitchen features beautiful granite countertops, wood cabinets, and stainless steel appliances. There is a dining table adjacent to the kitchen with room for 4 guests. 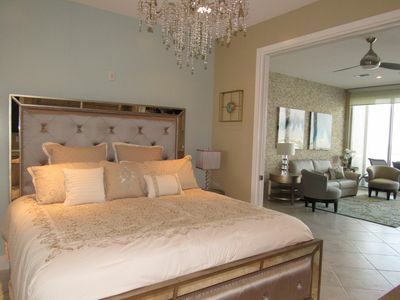 The master bedroom features a king-sized bed as well as a pullout bed that can accommodate 2 additional guests, while the second bedroom has a queen-sized bed, and the third bedroom has another king-sized bed. The condo comes with a rollaway twin-sized bed that fits well in the living room. Each of the bathrooms has complimentary toiletries and all of the linens you’ll need during your stay. 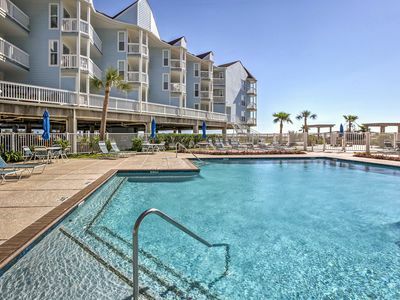 The condo also has beach towels you can bring with you down to the beach or pool. 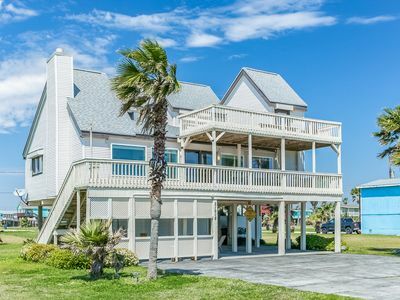 Beach lovers can’t go wrong with the ‘Condo by the Sea.’ The unit is just steps away from the Galveston Seawall and white sandy beaches. There are plenty of great places to eat in the area, including quaint seafood restaurants within walking distance from the condo. 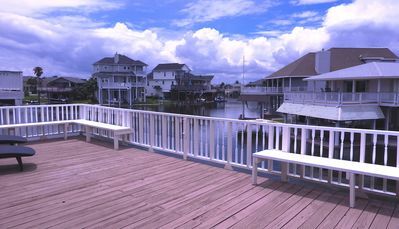 Kids and adults alike will adore the famous Pleasant Pier, which is a short walk from the condo. The Galveston staple has tons of rides and games for kids of all sizes. Golfers only have to drive a short distance to hit the links. 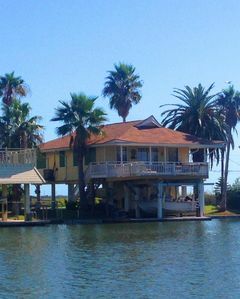 There are a few courses on the island, as well as several right off the bridge in mainland Texas. 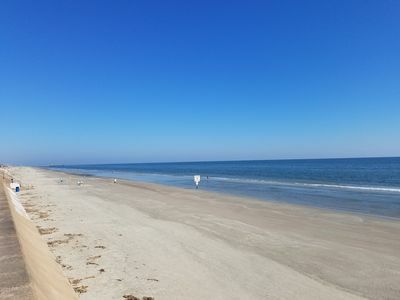 - Fantastic location, steps away from the beach with views of the Gulf of Mexico from the private balcony. 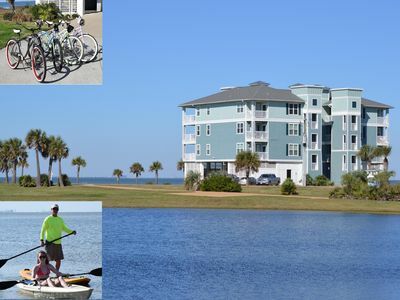 Easy access to golfing, restaurants, Pleasant Pier, and more! Beachfront Dawn. 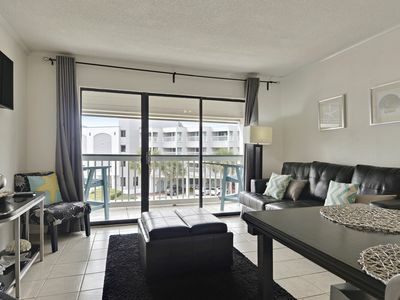 Spacious luxury unit- walk to the sandy beach. Low rates. 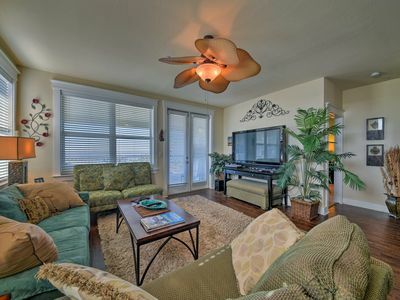 Gulf View Bungalow with views of the ocean and just steps to the beach. 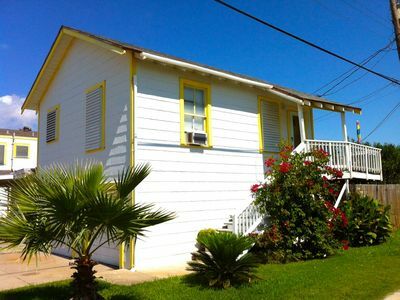 Welcome to Rosenberg Retreat conveniently located on 25th Street. 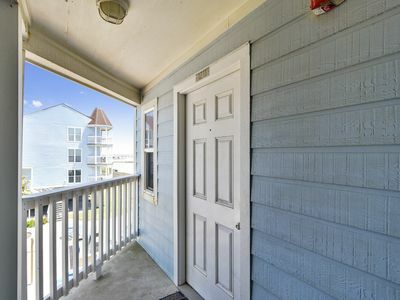 WALKING DISTANCE TO BEACH with WATER VIEW! $115 in Freebies! Including a ticket for Schlitterbahn Waterpark per day. Concierge services available. 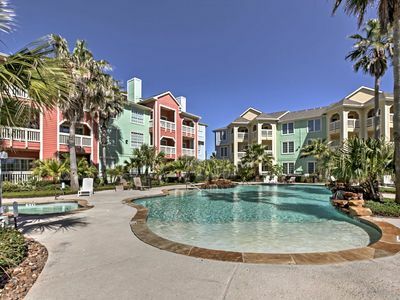 2 POOLS and BBQ GRILL at "Casa Del Mar 365-Sandpiper"- FREE ACTIVITIES including a ticket for Schlitterbahn Waterpark per day. Concierge services available. 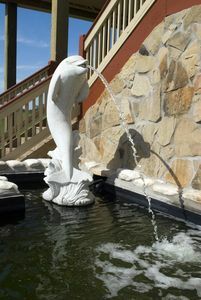 Galveston Condo w/ Pool Access & Ocean Views! 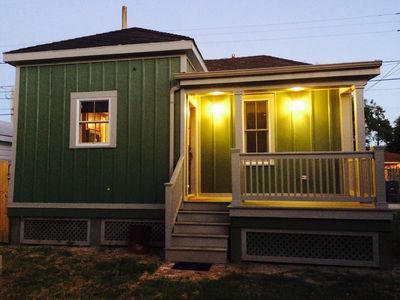 Dog-friendly & newly renovated cottage, with huge back deck! 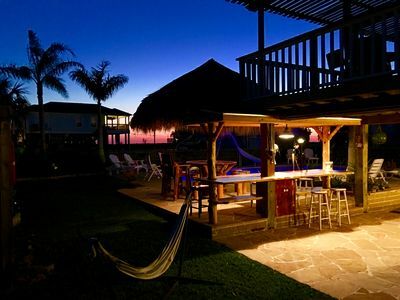 Dog-friendly getaway w/incredible views, a shared pool-short walk to beach!